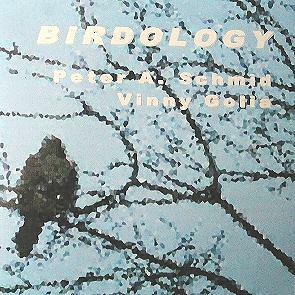 This recording is a dialogue of two masters of many reeds discussing the possibilities of their instruments and using their instruments to discuss the universe of sounds, including the very special world of bird speech and behaviour. They are using more than twenty wind instruments, among them a taragot and a recent invention of tubax - a kind of bass saxophone that Peter Schmid previously used with Evan Parker and September Winds on Alder Brook (CD LR 379). Both Peter and Vinny play tubax and they wanted to share their experience with this new instrument. Recorded March 24, 2003 at Hardstudio Winterthur, Switzerland by Moritz Wetter. Liner notes by Stuart Broomer, December 2003.